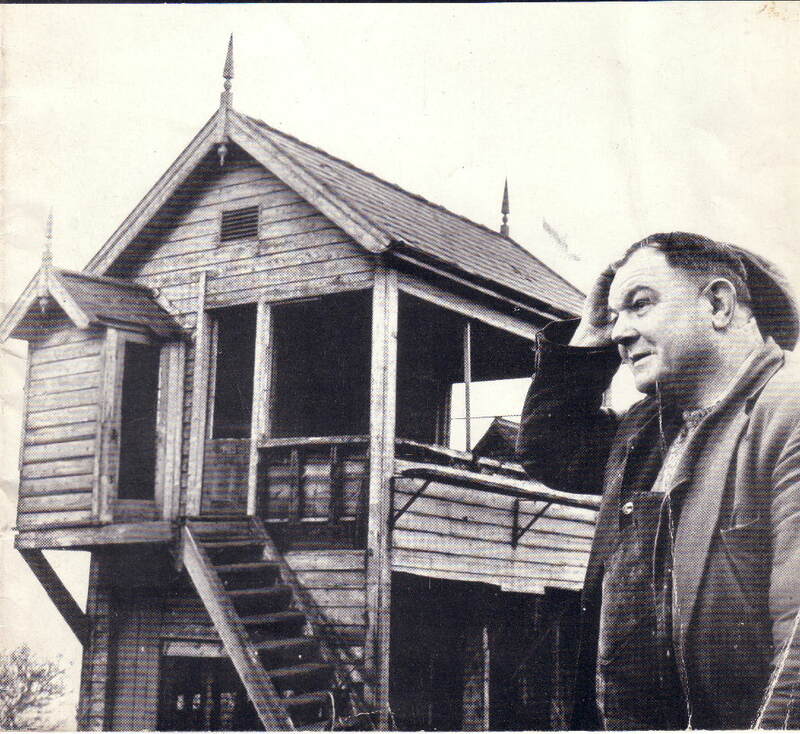 This picture shows the old headquarters in Hednesford. The building which the carriages are partly inside is still standing, although it is bricked up now. 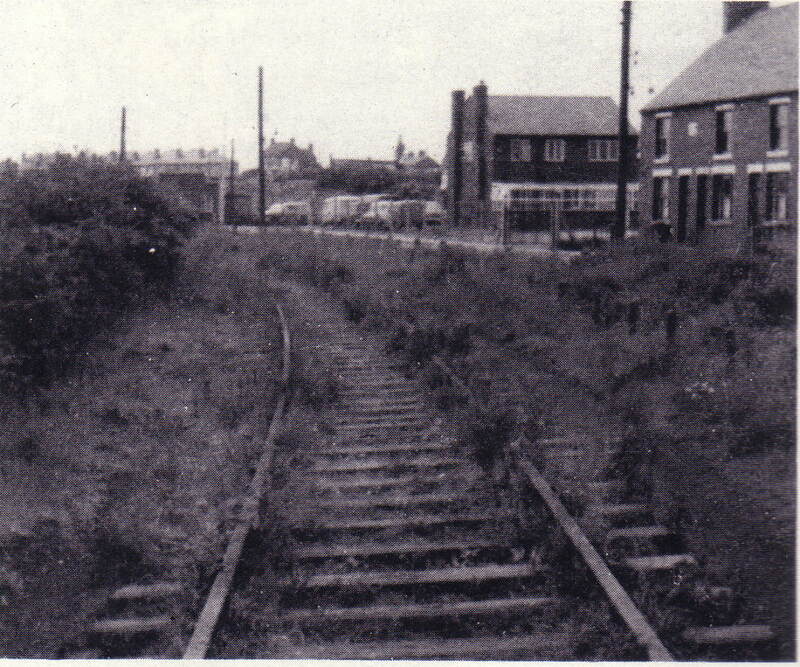 The white buildings on the other side of the line to Rugeley was the wagon works – long gone. Mr. G. T. Cox, WMD Chairman, opened the meeting at 3.00pm. He expressed his regret that there were not more people present, and said that possibly the unusually fine weather had diverted persons to outdoor pursuits. 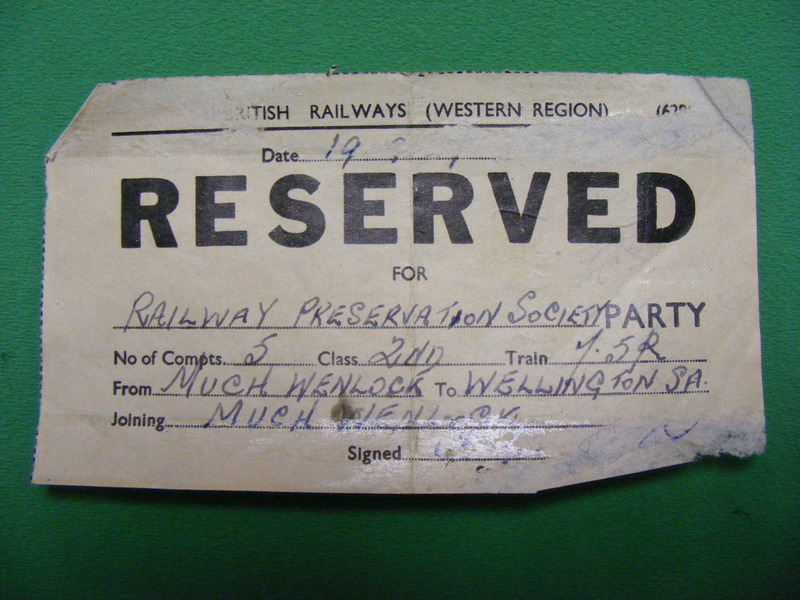 The General Secretary, D. Noel Draycott, briefly described the origins of the RPS and the district organisation which gives local groups the chance to build p local collections. 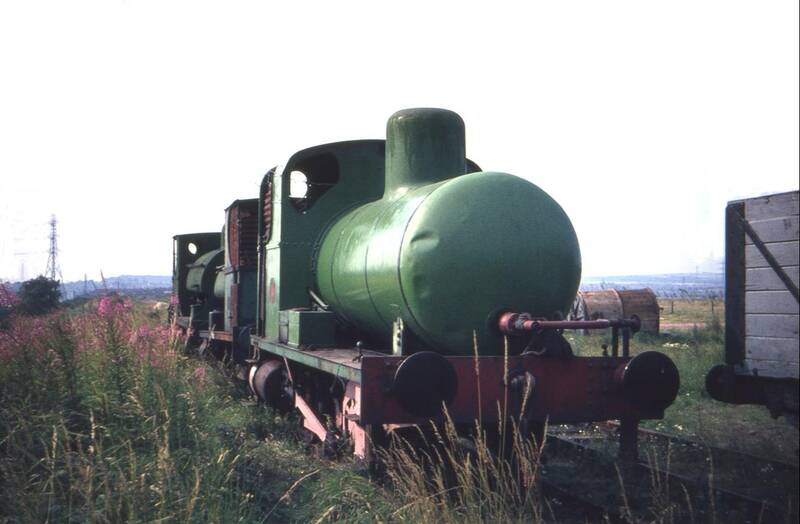 The first programme for the WMD has been drawn up, covering the purchase of rolling stock and other large relics. The programme is divided into three stages, but it is not necessarily the order in which items will be purchased. The selection of relics depends on the speed with which our funds grow. Mr. R. De Lacy-Spencer pointed out that many relics were kept by persons who did not realise their historic interest to railway enthusiasts. An example of this was the Midland Railway stationmaster’s hat which had been presented to the RPS by a lady living in Lincolnshire. The WMD Secretary, D. A. Ives, gave an account of progress in the area. Membership was growing and a keen committee were considering more plans for the future. Members were contributing many smaller relics, and a good selection was on view. 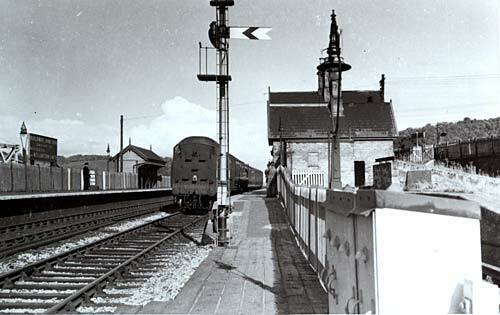 He had been corresponding with BR for some time about a possible depot site, but with no result to date. 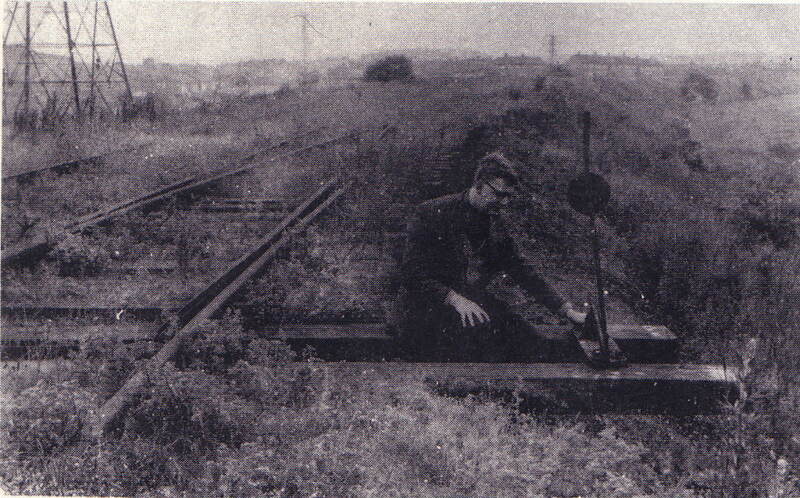 Mr. F. J. Harvey read a branch line survey he had recently made. 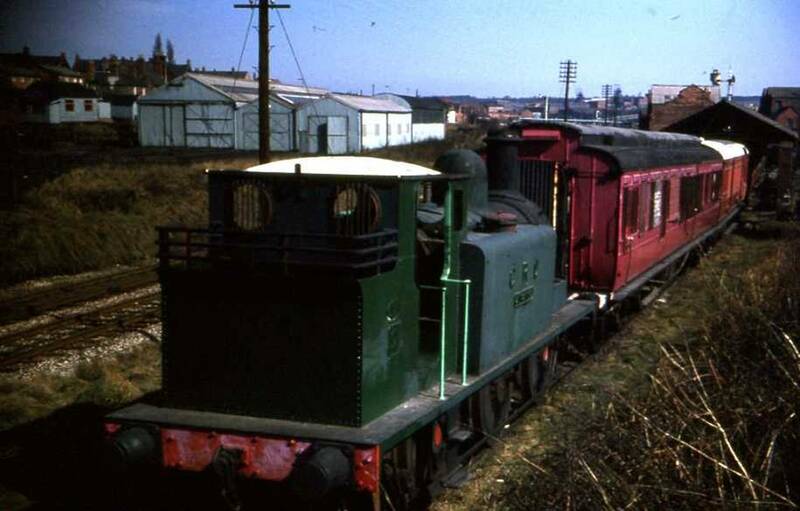 It was an account of the present condition of the MR branch from Aldridge to Brownhills and Chasewater. 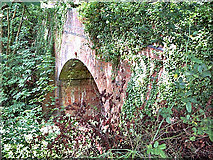 The civil engineering features appeared to be in good condition, but the permanent way was neglected towards the end of the branch and part had been lifted. At present only a section of it was used for a daily freight trip. The meeting was wound up at 4.30pm and Mr. A. Holden from the audience proposed a vote of thanks to the speakers which was carried. We are pleased to announce that negotiations for the establishment of a depot have reached a definite stage. 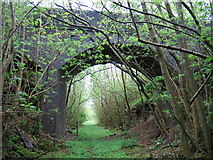 The site is at Hednesford, about 11 miles from Wolverhampton, and contains 150 yards of siding, part of which is under cover. Fuller details were given to members at the visit to the Stafford/Uttoxeter branch on Sunday, March 27th. These details are not to hand at the time of writing this, and a description with information about working parties will appear in the next issue of the newsletter. This will enable the WMD to launch an intensive campaign to purchase rolling-stock, etc., of the Cambrian, Great Western, London & North Western, Midland and North Staffordshire Railways. 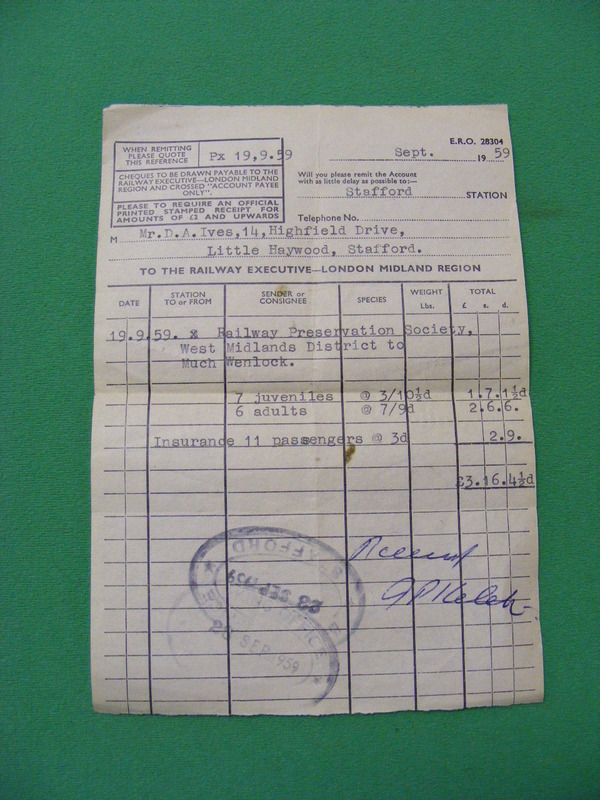 All persons interested in these railways are invited to send donations direct to the West Midlands Treasurer, RPS. Yes, we are interested in anything of railway origin and historic interest. We have no prejudices. 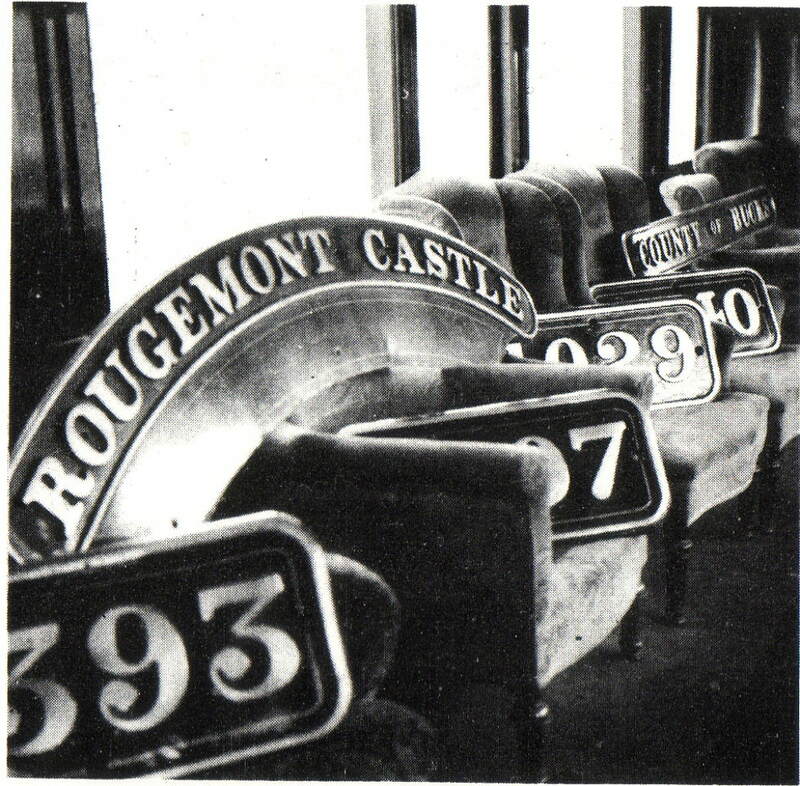 We are anxious to preserve all classes of relics from all pre-grouping companies, the big four and British Railways. In fact, we want to build up a truly comprehensive collection of relics that will form a supplement to the British Transport Commission’s own invaluable collection of historic relics. At the moment we do not possess either a button or a branch line! We own about 50 relics from the range in between these two types. 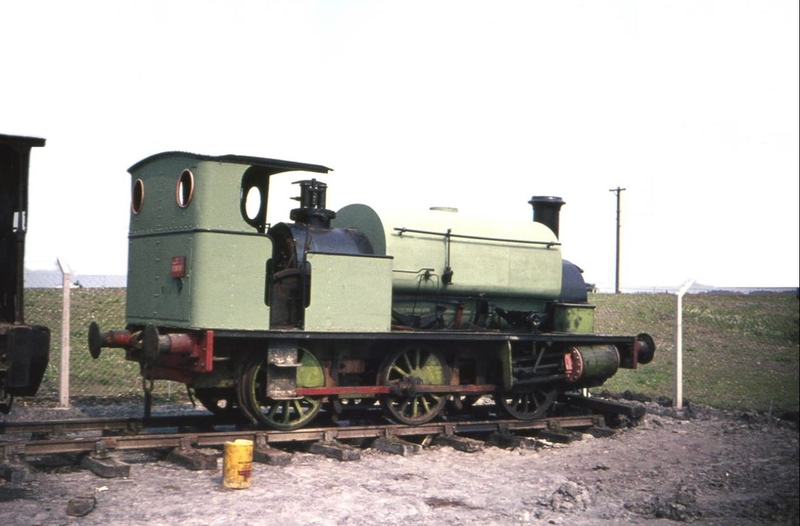 Our largest is a 6-wheeled carriage, and we expect that we shall soon have satisfactory accommodation for this so that our members can work on its restoration. The rest of our collection comprises small items, and until we have acquired the necessary rail space and land, we cannot expand our collection of large relics. Both the West Midland and London & Home Counties Districts are working on this problem, and both hope to be able to announce a satisfactory conclusion to their searches. We already have our eye on a few larger items such as signals, 4-wheeled, 6-wheeled and bogie coaches, as well as goods vehicles. The number of larger items we buy each year is governed by the speed by which our membership grows. Once again we are enclosing a second copy of this newsletter. Please pass it on to somebody who is interested in the activities of the only national society dedicated to the preservation of standard gauge relics. Outing to the Much Wenlock Branch, Saturday, 19th September. A rather small but enthusiastic party attended the District’s first get-together and outing, exact figures being seven members, plus seven relations and friends. The smallness of numbers did not mar the day, however, and a very enjoyable time was had by all. The main party started from Stafford station and was joined by another member at Wellington. 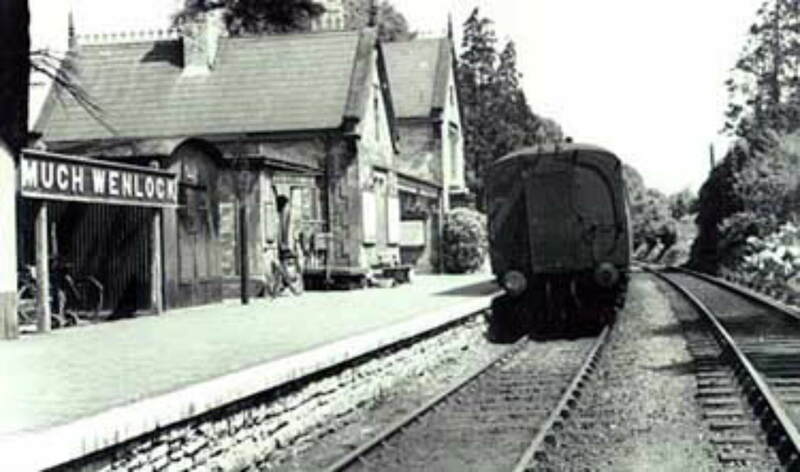 The Station Master at Wellington came over prior to departure for Much Wenlock; he appeared most sympathetic to our aims, and reflected sadly on the closure of branch lines. The train pulled out on time from Wellington, headed by a 57xx class pannier tank No.3732. The quaint halts en route to Buildwas Junction were noted, the driver, leaning through his cab window, pointed out several places of interest. Coalbrookdale Iron Works were keenly watched by members, with interest in the fact that the first iron bridge in the world was cast there. This was seen spanning the Severn as the train passed over a parallel bridge further up-stream. This delightful photograph epitomises the action on so many evocative branch lines in the West Midlands. 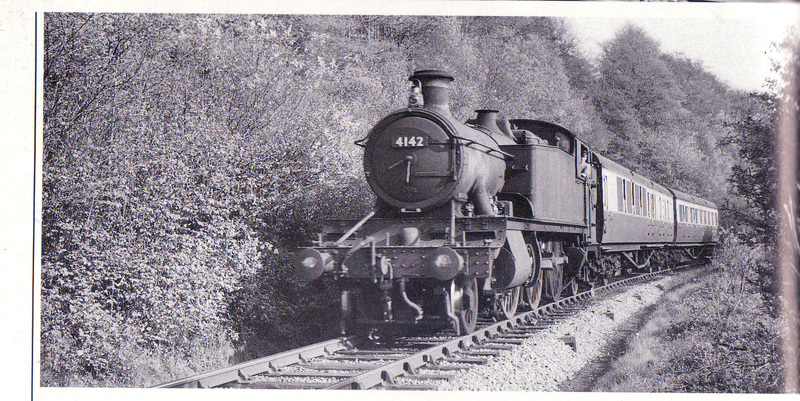 2-6-2T No.4142 was running under easy steam at Farley Dingle on 23rd April 1957 on a Much Wenlock to Wellington afternoon local service. 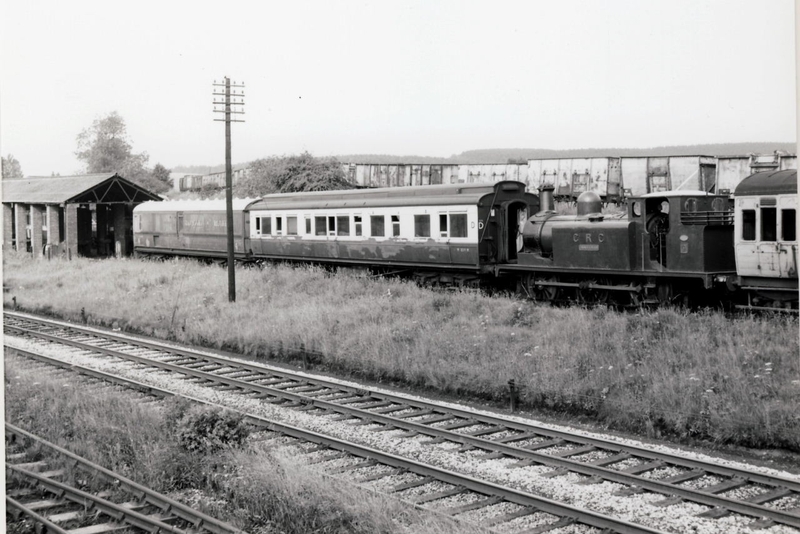 As so often happens when rural railway services are withdrawn, the trackbed was transformed into part of the modern road system. The gradients and curves then became very pronounced as the train made its way to the Wenlock terminus through the beautiful Shropshire countryside. A member living at Much Wenlock met the party on arrival and very kindly took four members to Longville in his car, this line being open to freight only. This excursion through the lovely Wenlock Edge was greatly appreciated. 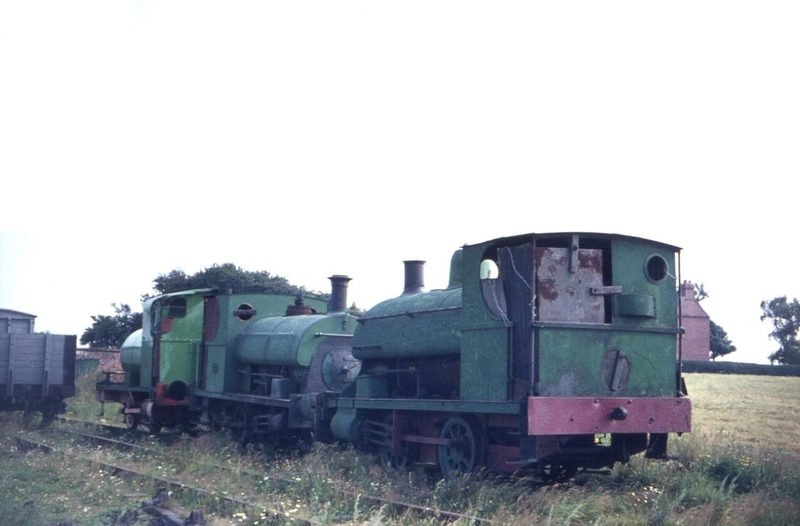 The goods yard, sidings box and single engine shed (without loco) were inspected by the remaining members. The ladies of the party visited the ancient Guildhall and Abbey, which proved full of historical interest. After tea and a final look around Much Wenlock station, the party caught the 7.05 back to Wellington headed by the same pannier tank, but a different crew. 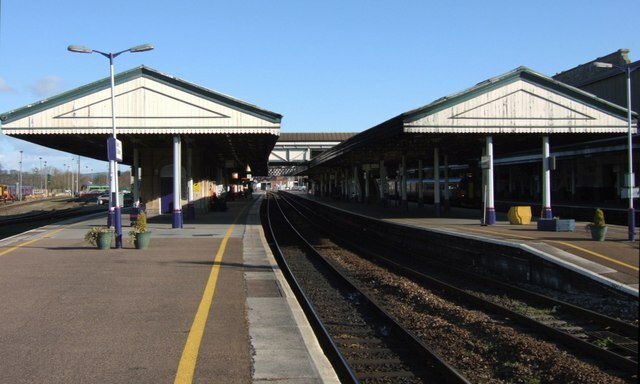 A vote of thanks must be recorded to the BR Staff at WR Wellington, for the kind way in which they answered questions, thus making the trip thoroughly worthwhile. It is to be hoped that another outing of this nature will be better attended so that the RPS will continue to thrive and gain more publicity. How about it, WMD members. Description: Buildwas Junction formed part of the Severn Valley line that ran from Hartlebury, near Droitwich, to Shrewsbury through Bridgnorth and Ironbridge. 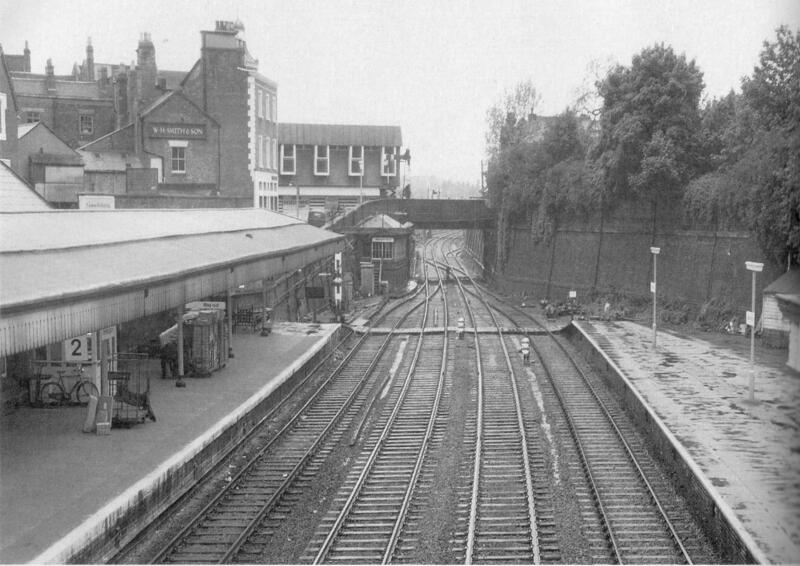 However, the line was disbanded in 1963 following Dr Beeching’s review of the railways. 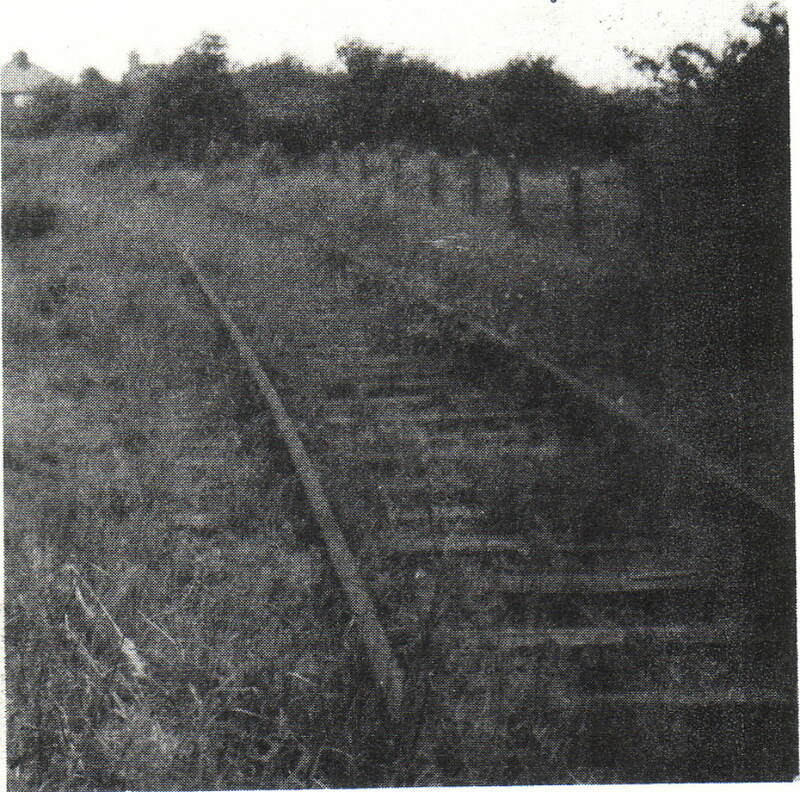 A section of track between Kidderminster and Bridgnorth has been preserved by the Severn Valley Company, but the track from Bridgnorth onto Shrewsbury was pulled up in the 1960’s and can no longer be used. The articles were writtten in 1965, the photos taken in 1969.